Tilt tables for therapy in the supine position. Height is adjustable to easilly allow examination and treatment therapies. Tilt angle up to 90°, with tilt angle indicator. The tilt adjustment can be either servo-assisted by gas springs, or electrical through wall power supply or battery-operated. Some models also provide for the table to be height-adjusted, should it need to be used for physical therapy sessions. Available motors for lift & tilt allow for different safe working loads, for example up to 140 kg or 180 kg. "Serious motor disabilities that require reaching or maintaining a standing position, for a certain period of time during the day"
The product code for Chinesport static tables depends on the configuration of the various options available. 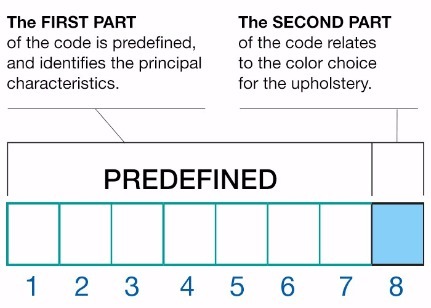 Each position in the code has a specific meaning, and corresponds to one or more characteristics of the product. Soon we propose introducing what is termed an “open code” with a number of options to be chosen freely, as already offered for our examination and therapy couches, or our shower stretchers. Specifically, a model with gas spring servo-assisted tilt adjustment can be chosen, or an electrical system powered by mains power or a rechargeable battery. 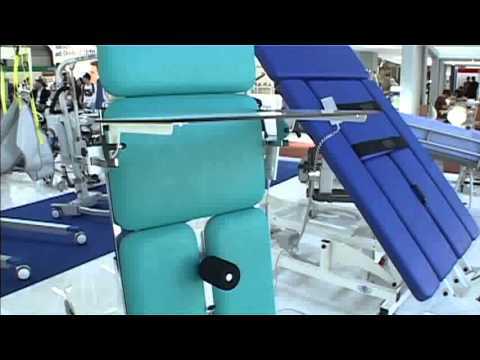 Electrical height adjustment is also provided for some models of the table, if you also want alternative use for physical therapy sessions. The drives offered for tipping the table upright, provide for working safely with various loads, up to 140 kg or 180 kg. Some icons are shown for each model presented, for easier identification of the properties described. Update, printed in October 2016; 36 pages; English.